NEW Nano Acoustic Sound Technology. 50% smaller than conventional earphones, with fantastic sound quality. Available in Black, Purple, Blue, Pink Green and Red. Superb audio quality with great noise isolation The unique design and technology of the “dots” earphones makes them very light weight and ultra comfortable to wear and use. Supplied with three sizes of ear cushions for comfort and bi-directional noise isolation. The colour of music Dots lightweight metal casing is colour matched to complement your favourite Yes No Maybe stuff. Half the size, twice the fun Dots are less bulky than most earphones and are designed to be small enough and light enough to sit snugly in your ears. More music, less noise. 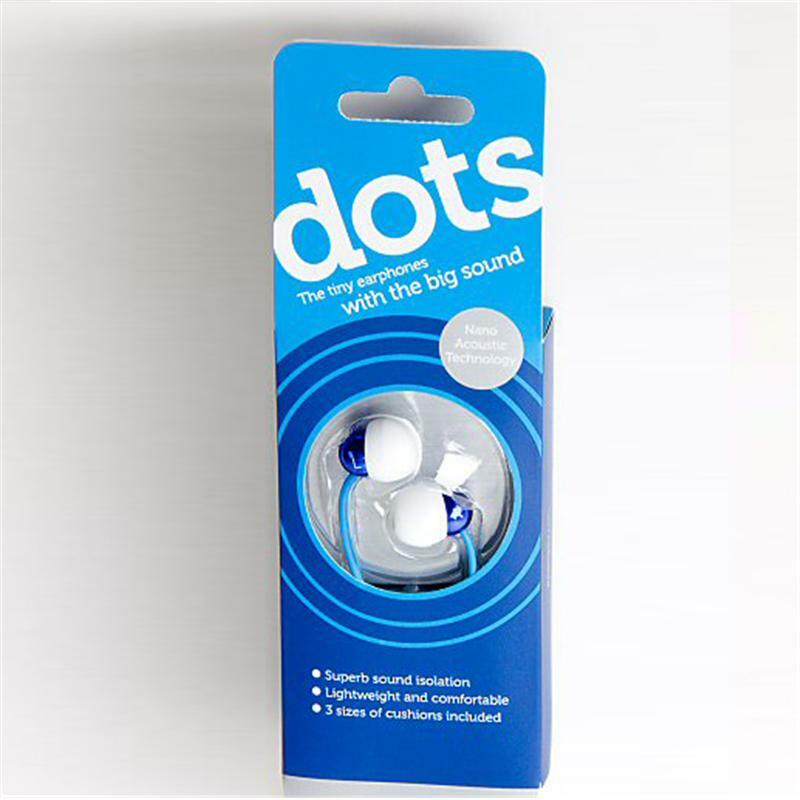 Dots soft silicone ear cushions cover the ultra small sound driver, keeping the sound you want in, and unwanted noise out. Say no to knots! Dots feature a soft rubber silicone cable finish, making the cable tangle-resistant. Solid gold sound To ensure best sound quality transfer from your MP3 player, dots feature a gold-plated, 3.5mm stereo jack plug.